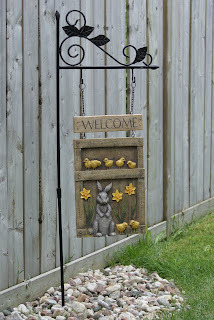 A new sign added to my garden welcoming anyone who visits. 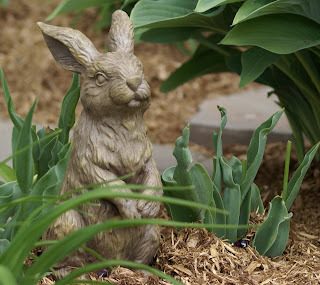 A new bunny added to the garden (there is always room for more). 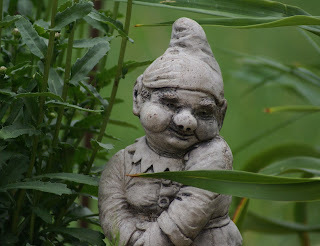 This little gnome is an old friend in my garden. 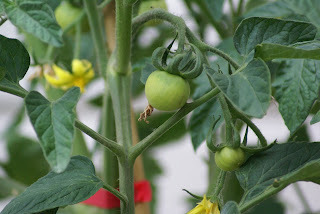 And.....I have little tiny green beginnings of tomatoes growing on the tomato plants. I am really looking forward to picking full-size red tomatoes from my garden later this summer. front step - that's where I took these photos. 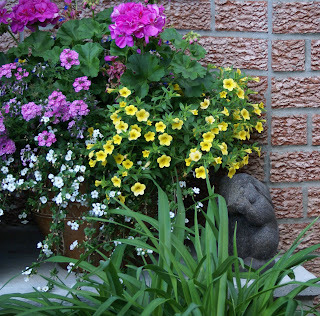 I see a little bunny hiding behind the flowers. 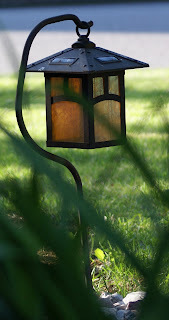 I have a feeling your garden is going to be beautiful when you're done. Want to help me with mine? !